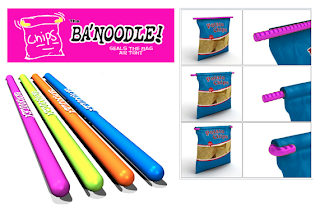 Hurry over here to snag a free Ba'Noodle. It seems pretty cool, it's a bag clip but fancier :) This is the real As Seen On TV product. Just go here and fill out the form at the bottom - also be sure to 'like' Anthony Sullivan on Facebook and follow him on Twitter. This is available while supplies last, so hurry! * Thanks Hip 2 Save for posting this deal.